he world’s best-selling book is on special – not just half price – but absolutely free. As Australia’s oldest living organisation celebrates its 200th birthday, Bible Society Australia is giving away a free Bible to anyone who needs one, or wants to share God’s Word with others. In the week of our bicentenary, we want to spread the Good Book further and wider in Australia than ever before. 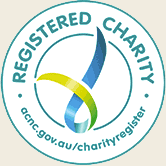 If anyone needs a Bible or wants to give a Bible to a friend all they have to do is register on www.bible.com.au. Why are we giving away free Bibles? Bible Society Australia’s vision is to see all people engaged with the Bible in a language they can understand, in a format they can use, and at a price they can afford. Our mission is to lighten people’s hearts with the Bible’s message of unconditional love in Jesus Christ. Giving away free Bibles is a great way to lighten people’s hearts, without lightening their pockets. 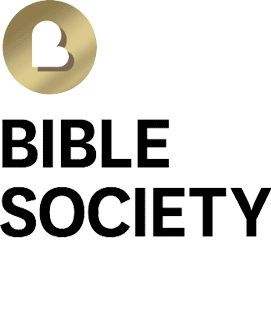 Bible Society Australia officially turns 200 on Tuesday 7th March, one month before Westpac celebrates its bicentenary. The Bible is the world’s best-selling and most widely distributed book. Research by Bible Society found approximately 5 billion copies were printed between 1815 and 2016. In China… more than 15 million copies of the Bible were printed in 2016 alone. That figure is tipped to double this year. Worldwide, the YouVersion Bible app has been downloaded more than 250 million times since its inception in 2008, with users reading and listening to more than 13 billion chapters of the Bible and creating one-billion–plus highlights and bookmarks. Bible Society Australia shipped more than 215,000 full Bibles in 2016 as well as many New Testaments and scripture portions. The Bible Society currently provides scriptures for Australians in more than 100 different languages. Bible Societies worldwide distribute more than 32 million Bibles each year. However, the demand for Bibles is huge… less than 10 per cent of the world’s 6,880 languages have a full Bible translation. A staggering 497 million people have no Scripture translated in their language at all.